Video surveillance storage demands are evolving rapidly. Longer retention requirements and new image analysis methods demand more from your storage environment. Join this webcast and learn new ways to meet these needs at 70% less cost. 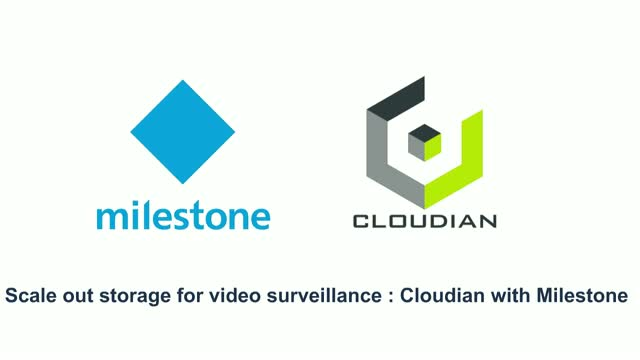 Learn from experts from Milestone and Cloudian on March 5th at 10am PST to learn what’s on the horizon for video technologies and the storage demands it will drive. And learn about newly-certified scalable storage for Milestone XProtect. Join this webinar and be ready for the demand storage needs of next-gen video surveillance. Join this webinar on 21 May at 14:00 to learn how Cloudian saves organisations up to 70% of their data storage costs without any changes to software or policies. With over 8 million passengers annually, ensuring safety is a paramount requirement for Montebello Bus Lines. Mobile video surveillance with real time monitoring was a long-sought goal, but presented significant challenges. Learn how technologies such as object storage and enriched metadata provided real-world solutions for Montebello to ensure public safety while staying within budget. Legacy Content Storage Management systems (CSM) such as DIVArchive and others have become cumbersome and costly archive targets. Join Cloudian, Cloudfirst, and Ergonomic Group on March 28th @ 10am PST to learn how to create the foundation for a future-proof archive solution. Are you prepared for the data deluge of 2019? View this on-demand webinar to hear Komprise and Cloudian as they discuss data management and protection strategies that your organization can implement today to enable your organization to scale with tomorrow’s exponential data growth. Storage admins today manage ever-increasing data volumes in a 24x7, zero-downtime environment. Protecting these critical assets – while maintaining service levels, compliance, and security across all locations – has never been more costly and complex. Excessive backup times and unmet RPO/RTO SLAs potentially lead to data loss and downtime.